Do you believe in signs? Do you believe God talks to us, sending little or maybe not so little messages? I do because it has happened a lot in my lifetime. Tonight I came home, opened my garage door, and pulled my van in just like normal. Tonight though, there was a bird flying around in the garage, bumping into the walls because the noise of the garage door and my engine were probably a tiny bit overwhelming. As I parked, I realized there was also a second bird, and by the time I got out, there was in fact a third bird which flew just inside the door of the van onto the floor. Three little birds… in my garage. I swooshed the one out of the van, and then spent the next 15 or 20 minutes trying to get all of them outside, gently with a broom, because I did not want them to be trapped. Once they were all safely outside, I closed the garage door and went into the house. I walked to the kitchen sink to wash my hands, and wondered what in the world were three little birds doing in my garage? That’s when the obvious hit me… three little birds! They were there to tell me not to worry ’cause every little thing is gonna be alright. I could not help but to chuckle at the somewhat absurdity of the whole thing. What a wonderful and comical God that cares so much to send three little birds to my garage with a message, and in a moment I really needed to be reminded that things are going to be alright. 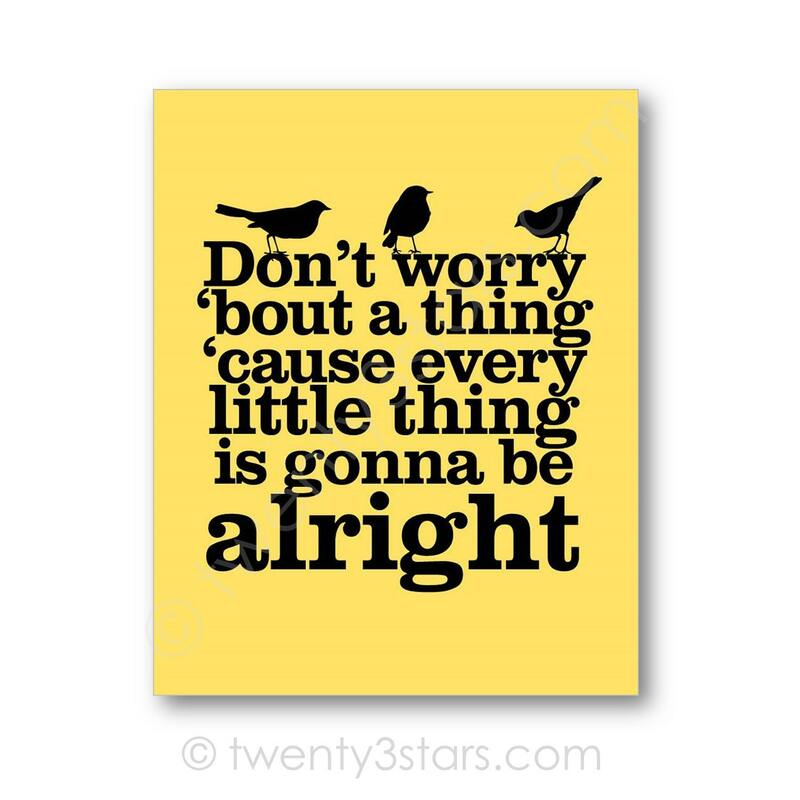 Tonight I am sharing this with you, I’m sharing those three little birds, so you too will know not to worry ’cause every little thing is gonna be alright for you too!